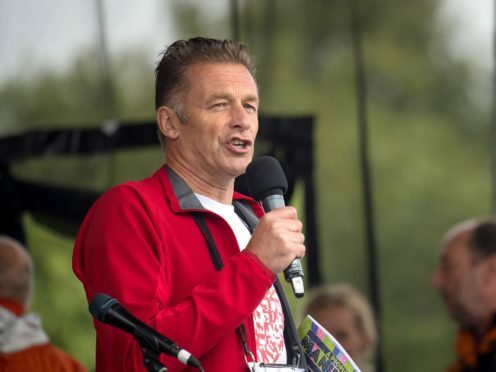 The naturalist and TV presenter, who has spoken out against fox hunting, badger culling and the killing of birds of prey, has been given the award in the Queen’s New Year Honours list for his services to nature conservation. Despite seeing his honour as thanks for his conservation work to date, the 57-year-old has vowed to continue with even louder protests against violence to animals in the UK. In a statement to the Press Association, he said: “In an age where illegal fox hunting, the continued persecution of birds of prey and the unscientific, uneconomic and inhumane culling of badgers continue, our wildlife needs a voice to shout above the noise. “Maybe the silent have spoken, maybe a terrified fox, a wounded harrier or a trapped badger whispered and this is their thanks. The passionate defender of wildlife has worked on BBC Two’s Springwatch and its other seasonal spin-offs since 2009, and presented numerous natural history programmes. In 2019 he will take part in Blue Planet Live, examining the impact of ocean pollution. Packham has spoken often of how his Asperger’s syndrome and bouts of depression have affected his screen career. According to his official website, he was interested in the natural world from an early age, before becoming involved in the punk scene and adopting its defiant spirit. He began experimenting with photography and camera work, before moving from behind the camera to presenting duties on The Really Wild Show in 1986. Packham is vice president of the RSPB and the RSPCA, and supports other conservation and animal welfare charities.